Ingredients: AQUA (WATER), DIHYDROXYACETONE, GLYCERIN, PEG-12, BUTYLENE GLYCOL, PHENOXYETHANOL, XANTHAN GUM, ETHYLHEXYLGLYCERIN, MELANIN, PENTYLENE GLYCOL. 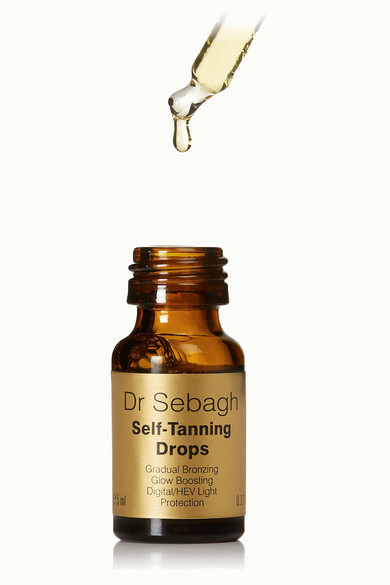 Dr Sebagh's award-winning drops are the solution to achieving sun-kissed skin without exposure to harmful UV rays. 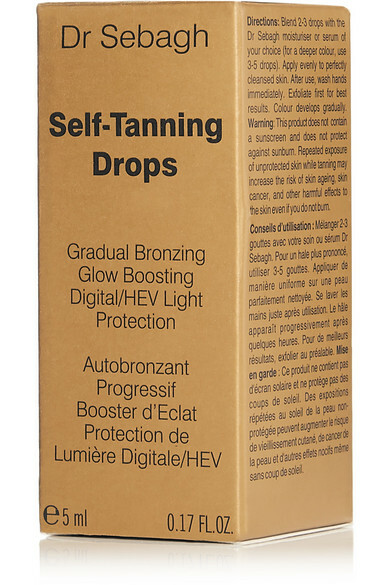 In a travel-sized bottle, this elixir contains High Energy Visible Melanin to also protect against the aging effects of blue lights emitted by our phones and computers. Simply mix it into your favorite nightly moisturizer and wake up with a natural-looking, radiant glow.